The barrier to cloud adoption is not technology but trust. Results of a survey of over 500 visitors to Cloud Expo Europe this week have shown that almost two-thirds (63%) of respondents believe their company data would be more secure with a reputable cloud service provider compared to keeping systems in-house. It represents a significant shift in attitudes as data security is the number one concern when it comes to cloud adoption, according to research by the Cloud Industry Forum. 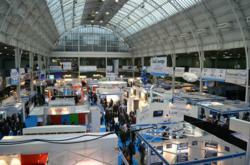 Other results revealed, not surprisingly given the occasion, 80% of attendees at Cloud Expo Europe plan to increase cloud services in 2013. However, despite this commitment to cloud technology, just under half of respondents (45%) said they didn’t expect to buy any less hardware in 2013 despite investing in more cloud services, showing that cloud technology might not be as damaging to hardware sales as expected. Databarracks conducted the research at Cloud Expo Europe at Olympia, London on 29th and 30th of January 2013, where it also launched its new secure, high-performance Infrastructure as a Service platform. Databarracks provides secure, Infrastructure-as-a-Service, Backup-as-a-Service and Disaster Recovery –as-a-Service from UK-based, ex-military data centres. Databarracks is certified by the Cloud Industry Forum, ISO 27001 certified for Information Security and has been selected as a provider to the G-Cloud framework. Do you currently use any cloud services? Do you intend to use more cloud services in 2013? Do you intend to purchase less hardware in 2013 as a result of cloud computing? Do you think your data will be more or less secure using a reputable cloud service provider - compared with keeping systems in-house? Do you think using secure IaaS would make it easier or harder for you to be compliant with your industry regulations?